In SQL Recovery process, the most important thing, which needs to maintained, is quality. If database gets affected during recovery process like its properties gets changed or something from it gets deleted then, the recovery is completed wasted. If the recovery is done with loss of database items then, it cannot be said as a proper qualitative recovery. The software recovers complete SQL Server Database including all components like tables, XML data, stored procedure etc. So, if you are thinking to get quality while performing SQL Server Database Recovery process then, SQL Recovery tool named SQL Recovery is the best option for you. The tool is tested to provide you quality in each recovery step. You don't face changes in the properties of database and you also don't face SQL database corruptoin while performing the recovery process with this SQL Data Recovery tool. Even extreme issues of corruption in MS SQL database like corruption due to damage in system tables, corruption due to damage in allocation pages, etc can also be fixed with the help of this SQL Recovery tool. This SQL data repair tool provides you the option to save queries in TXT file format during SQL database recovery process. 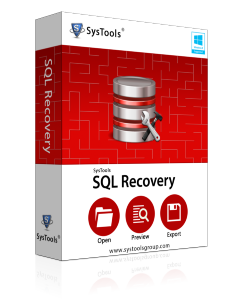 You can recover corrupt SQL database file with all its database objects including Tables, Indexes, Stored Procedures, Views, etc with the help of this SQL database recovery tool. This tool performs SQL Database Recovery in both data suspect and data emergency modes. You get ability to recover corrupt database of MS SQL Server editions 2017 & below versions in this tool. The tool provides you the preview of recovered database objects on computer screen. You can also create SQL supported script file while performing recovery process with this tool. 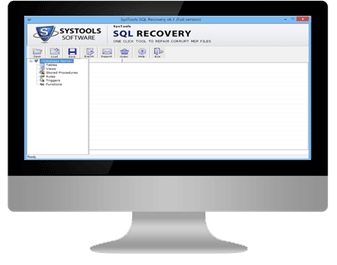 Recovery ability can also be checked by using our MS SQL Database Repair Freeware Utility, which performs SQL Database Recovery and shows preview of recovered database items on computer screen. Supports Windows 10/8.1/8/7 & all the below versions. I failed to recover corrupt SQL database file and I didn't get the perfect software. So, one of my friend recommended me to use your SQL Recovery Software version5.3 and it actually worked. I successfully got my entire inaccessible database in a working condition.